On February 7th, members of the Society of 1912 gathered in the Bradish Johnson House to hear from Dr. Kim Field-Marvin. The Society of 1912 includes members of the McGehee community who have included the school in their estate plans. Legacy gifts are the most important of all to schools such as ours, helping to grow our Endowment and secure the next 100 years at McGehee. 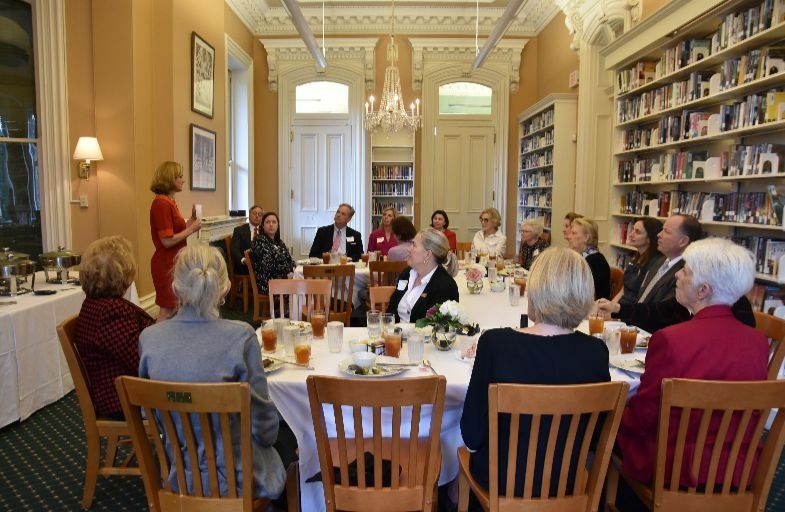 Members are from all parts of our school family - - alumnae, parents, past parents, board and former board, grandparents and current and past faculty. Contact Elenore Falshaw at elenoref@mcgeheeschool.com or 504-274-4918 for more information about becoming a Society of 1912 member.